I am very happy to give you a Christmas gift called Woodoku. screens. I have to say this has been a nice experience to me. as long as it is possible. The addons are on the way. Stay Tuned. Thank you all for a great support and Merry Christmas. awesome sir ..looks great easy to use too..thank you and merry christmas!! Had to "apply" twice the first time to get the task bar to be visible.... other than that, just fine. Got the psd Tom. Super blind! Looks good Tom. Can we try RedneckDude, rather than redneck? lol Thanks! Oh, apologies mate. Was typing quick. Folks, I have received a shout that there is an issue when small icons being applied on the taskbar. That is not an issue. 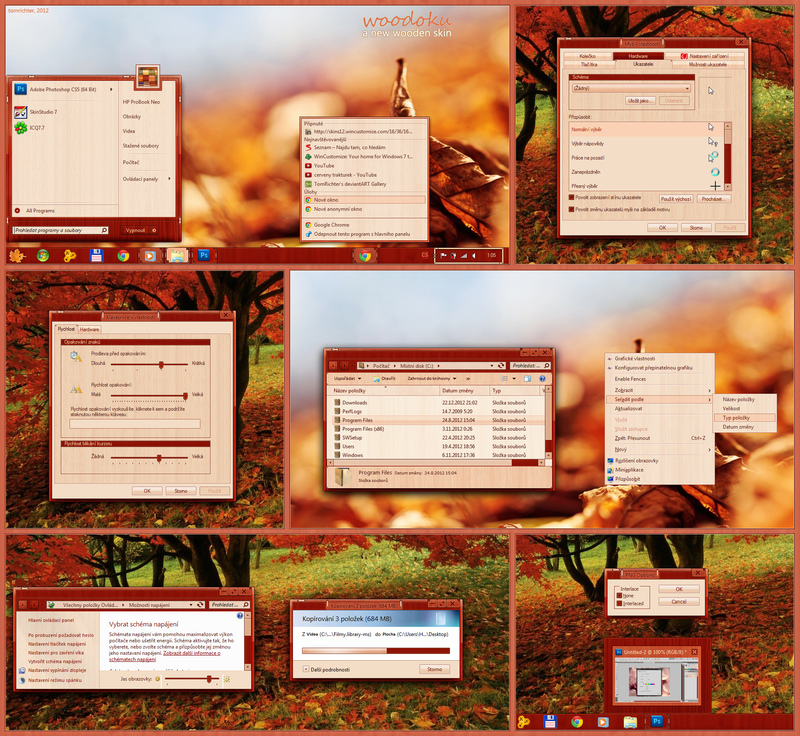 The skin is meant for a classic taskbar size and icons only. I thought it was visible from the graphics, e.g. the startbutton is very big for thinner taskbar. I am just recalling this. Thank you. Excellent as always! Thanks and Merry Christmas to you too. Been really busy and haven't been on very much. Glad I tuned in now for a few minutes so I didn't miss this wonderful WB. Thanks Tom.